Oh no, it’s one of those "well-this-is-what-it-was-like-when-I-was-a-kid" kind of posts. I’ll try not to sound like a codger. Anyway, back in the 60’s in rural Laurens, there was no such thing as a K-Mart or WallyWorld. The biggest department store we knew of was Sears in Greenville, and we only went there around Christmas shopping time. 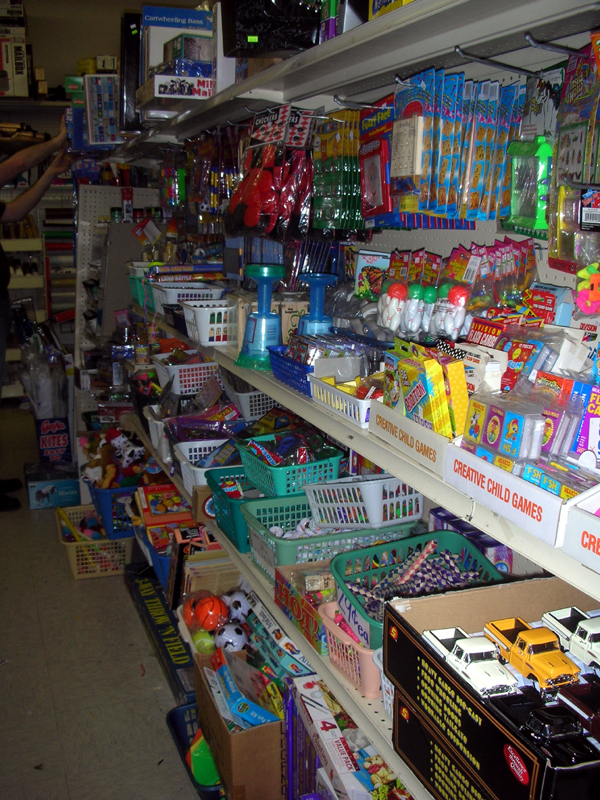 The source for toys was Ben Franklin 5 and 10 cent store on the square in Laurens. Today we had a flashback. Chip and I went into Wilson’s, one of three remaining "dime stores" in Greenville. Both are the old-fashioned kind, with a little bit of everything scattered all over the place. However, the best part is still the toy section – three jumbled rows of cheaply produced toys that are hazardous in all manner of ways. Although it’s now called Wilson’s 5 cent – $1, it’s still nice to see that some things don’t change.